In a once 200-year event, the skies of Wales will be lit up by a “cruise ship sized” asteroid, which is set to pass 1.2km (745,000 miles) from Earth. It’s a real close shave for the planet. According to Jonathan Powell, an Abergavenny astronomer, the 2004 BL86 asteroid would be a rare sight indeed. Powell, who is the secretary at the Abergavenny and District Astronomical Society, said the asteroid can be seen by looking to the southeast between the bright star Sirius and the planet Jupiter, around 20:00 GMT. He said the anticipated asteroid sighting caused many folks to sit up and take notice, with many local astronomers expected to get together in the Wales countryside to get the best look of it… away from any street lights. Powell said an asteroid passes the planet every year; but, because of its size and timing, the 2004 BL86 asteroid is the reason for all the excitement, allowing people to get a good look at it in Wales’ nighttime sky. He said the majority of asteroids that pass Earth are extremely small, which means they can’t even be seen with amateur telescopes. If people in Wales want to see this “cruise-ship sized” asteroid, all they need are powerful telescopes or binoculars and look up at into the sky around 8 p.m. and later to see it pass. Powell said it’s that big and that close. He said the asteroid, which is going to travel very slowly unlike other things in the sky, is going to be three times the distance from the earth and moon. 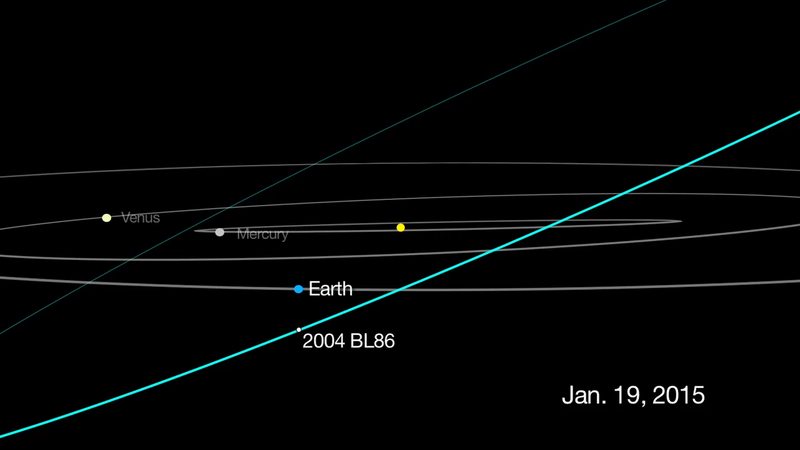 According to NASA, the large asteroid is going to be closest known space rock to the planet until 2027 when the 1999 AN10 whizzes by Earth.